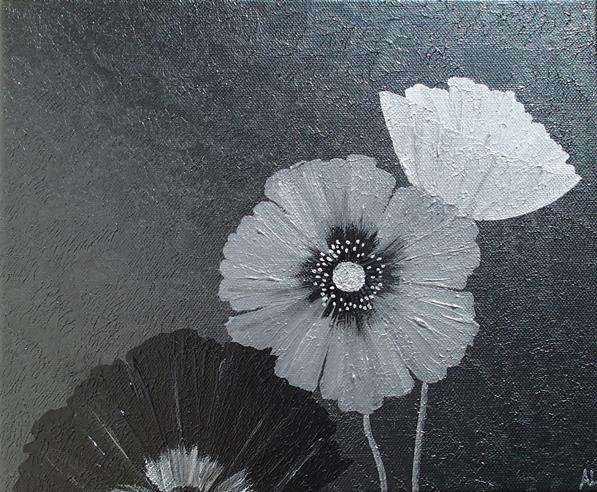 Description: Contemporary painting of 3 poppies against a graduated graphite background. The poppies are textured for added interest. The painting continues round the edge of the frame making it ready for immediate hanging and it has been finished with a protective satin varnish. This painting is on a standard edge canvas. Please get in touch if you would like a similar painting on a thicker canvas or in a different size.